Sadie Dawson’s mother goes into labor hours before her great-grandfather’s 100th birthday party and Mom refuses to cancel the festivities. Now it’s up to domestically-challenged Sadie to host the dinner party–only she hasn’t a clue how to cook a turkey. This could be the mother of all culinary disasters, but with the help of her two best friends, Sadie is determined to pull off the best dinner party in a hundred years. And maybe land Mr. Right, too. 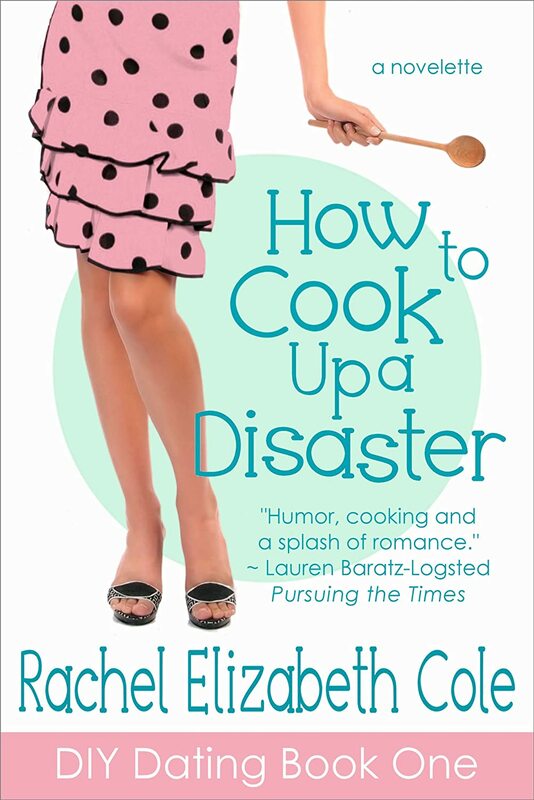 How to Cook Up A Disaster is a breezy chick lit novelette of 11,000 words or 69 pages which should also appeal to romantic comedy fans. You need to be confident you can carry the humour. Everyone has a different sense of humour, so connecting with a broad spectrum of readers can be a challenge! I was inspired by a writer’s prompt. The story had to start with “If I’d known what was in store for me that day, I would have . . .” With an opening like that, what else but a disastrous situation could follow? Rachel Elizabeth Cole writes a mix of genres, from heartfelt literary and women’s fiction, to laugh-out-loud chick-lit, to quirky contemporary middle grade fiction. Her short stories have appeared in literary magazines both online and in print, including Cahoots, Literary Mama, and Flashquake. When she’s not writing, Rachel works as a graphic designer specializing in book covers. Her favourite season is autumn, she prefers tea to coffee, and wishes every morning began at ten a.m.